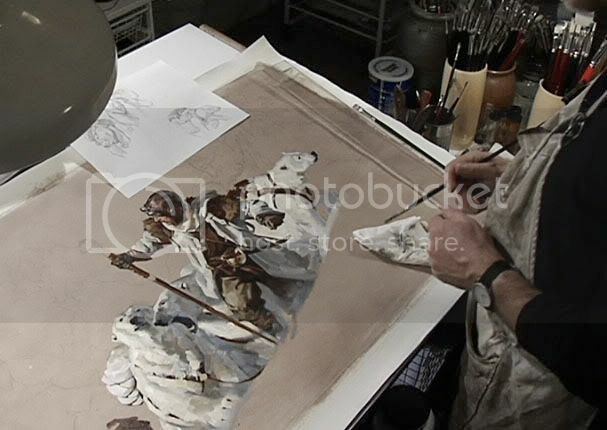 Massive Black has released part 2 of the Greg Manchess demo. $15.00 for instant download. The video is an hour long. Massive Black has a full series of these downloadables, covering almost every aspect of commercial art: character design, perspective, vehicle design, fine art, ...and on. Downloaded this last night and enjoyed both parts very much. Pass along my thanks to Greg. Why Greg is taking all my's moneys?! Fantastic demo. Greg is the chillest. I'll be watching these demos on loop. you made the announcement before conceptart.org did. that is amazing! thanks for the heads up. Downloaded both last week and they've been in the background looping throughout the days as I work on my own paintings. I learn new ways to approach my work and thinking each time. One of the best video demos of any artist I've seen.